A Good Career Management Plan is Like a Good Road Map - Don't Start Your Journey without One! Would you be driving in a new city without a map? Having a career management plan is exactly like having your map so you can move from what you are doing today to what you want to be doing tomorrow. A good career management plan helps you navigate your job or career change more effectively. You do not have to wait for your manager or someone from Human Resources to develop one for you. Be proactive, take charge and follow these simple steps to make a good start. Take charge of your career...and put one together yourself. A good plan does not need to be complicated. It can be simple yet effective. You can put a plan together using the resources here. so you can develop an action plan to close them. Your career management plan should also take into account your career interests and needs, your knowledge, skills and your work-life-balance needs. Finally, if you are considering staying with your present employer as you change your career (which is a safe strategy) then you also need to understand if your new direction is something you can pursue within the same company and the best way to go about it. A good place to start is by asking yourself where you want to be ...in the future. This is one question where sometimes you may have difficulty in coming up with an exact answer. If you are fortunate to know exactly what you want or where you want to be then you have a head start. Otherwise, conducting a future state analysis by asking yourself three key questions will help you start formulating an idea of what you want. This also forms part of the research phase where you are collecting a lot of data about your new area of interest. If you are considering a career change then consult career guides or industry guides. Well researched career guides will provide you with a lot of valuable information about your new career and will help you develop a more effective transition plan. You can also take career interest or inventory tests to get additional information for your career management plan. Asking this question will help you do a thorough current state analysis. With this analysis you will be able to better understand your situation as it relates to your present job, position or career. It will also enable you to conduct a quick SWOT analysis which will help you develop a more effective career management plan. The gap is the difference between the current state and the future state. Understanding the gap is the key to understanding what you have to do to get the job, position or career that you want. By completing the career gap analysis you will have a better idea of what you need to do to improve your skills, knowledge, competencies, work experience, etc. Also, remember to do a career skill and competency assessment as part of this step. Doing some or all of these will put you in a more competitive position to apply for a job opening or transition from your present career into a new career. Remember, creating a career management plan and implementing it takes patience, will power and perseverance. 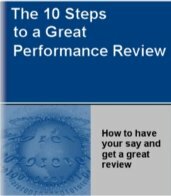 Follow the eleven simple steps to develop your action plan based on your gap analysis. Many of the tips and techniques recommended on this site have been successfully used by others. If you persevere and are open to advice and suggestions from others then you will succeed. Also, don't forget to look at all your other goals and bundle them up using the three step process to simple goal setting. You can do it!